‘Offering your products’ at discounted rates is probably the most tried and tested way of improving sales. But gaining the right value from it would require some well thought out discount strategies. There are several ways of offering discounts such as, by creating product bundles; by giving buy one and get one offers; Seasonal/Festival discounts; Discounts based on Payment or shipping methods etc. “The retailers do not want to keep much of stock because the remaining stock will move to the GST regime and the margins would then vary. No brand can sell the entire stock before July 1 but they are trying to do the maximum,” Harkirat Singh, Woodland Worldwide MD had told. Levi’s offered buy-two get-two scheme on most of its items. Similarly, footwear majors Reebok and Bata have also offered up to 50 per cent discount. 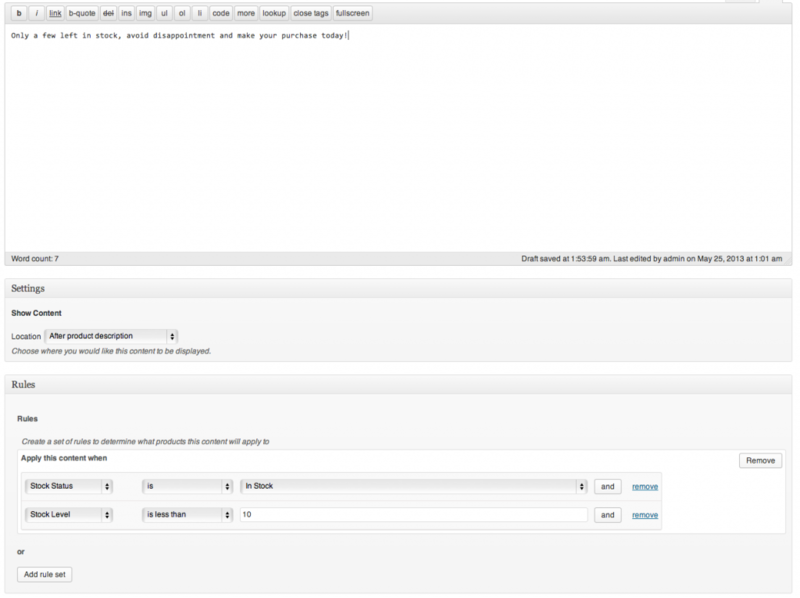 What is a WooCommerce Stock Manager plugin? 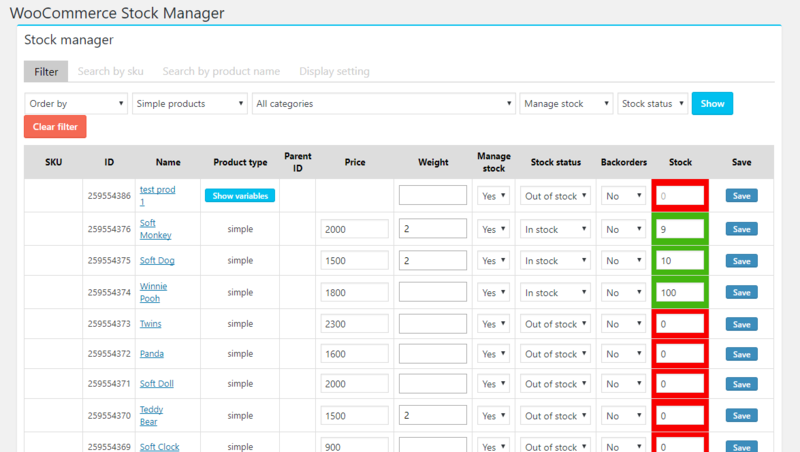 WooCommerce Stock Manager is a great time saver as it enables you to update stock of all your products and their variations right from one single page. Apart from product stocks, the plugin allows you to edit a number of other properties related to the products like price, weight etc. When the stock of any product goes below 5, a yellow border would appear outlining the stock number. And a red border would surround an empty stock. This too would help in better stock management. Any updating done here is directly reflected in the frontend and as soon as a product has been purchased, you can see the change in the backend. The plugin takes in all the info directly from WooCommerce, thus any import/export of products or data can be done through the WooCommerce import/export functionality. How our Dynamic Pricing and Discounts plugin can help? As you must know that a Dynamic Pricing and Discounts plugin is used to provide offers and discounts based on a number of parameters. Without delving into every aspect of the plugin, we shall talk about only the relevant feature of this plugin which is meant to give discounts based on Product Stock. Let’s say some of your products have a stagnant stock number of 100. Moreover, due to the huge number of products in your inventory, you are having a difficult time to pin point the products having left with that high Stock. With Dynamic Pricing plugin, you need not worry about that! 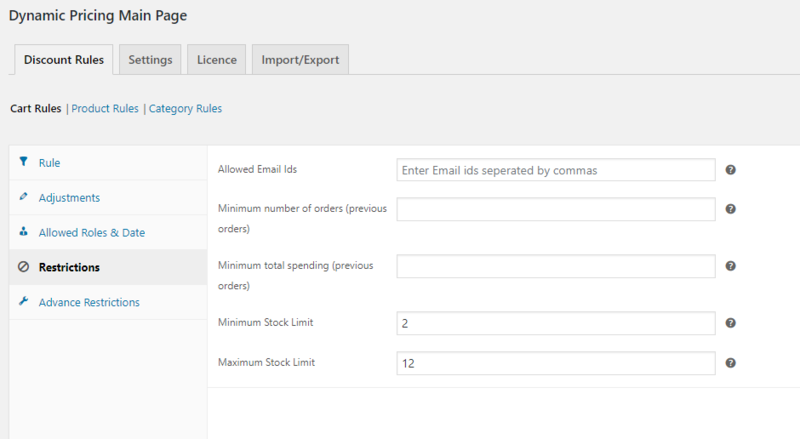 You can simply setup a discount rule under the Cart Rules of the Dynamic Pricing and Discounts plugin giving it Stock limits as restriction. What you just did is automate your End of the Year Clearance Sale! The plugin would simply pickup any product having the stock range and apply discount to it. For the purpose of highlighting the clearance sale and making the campaign effectively meet its end goal, plugins like WooCommerce Conditional Content ($49) would be of great help. With the above plugin, you can float a content on products which are having higher stock labels and would be given out at discounted rates. This gesture would enable your customers to act sooner. There are some other features of the Dynamic Pricing and Discounts plugin that would help you add some more specifics to your Stock Clearance campaign. Add ‘beginning’ and ‘expiry’ dates. Though you can always delete the rules whenever you want. But, automating the activation and deactivation would ease out your efforts. Restricting the discount based on user roles. You can choose to give the clearance sale discounts only to your regular customers. Adding a Maximum discount amount. It might happen that you would want to limit the discount amount and wouldn’t want to give away more than intended. 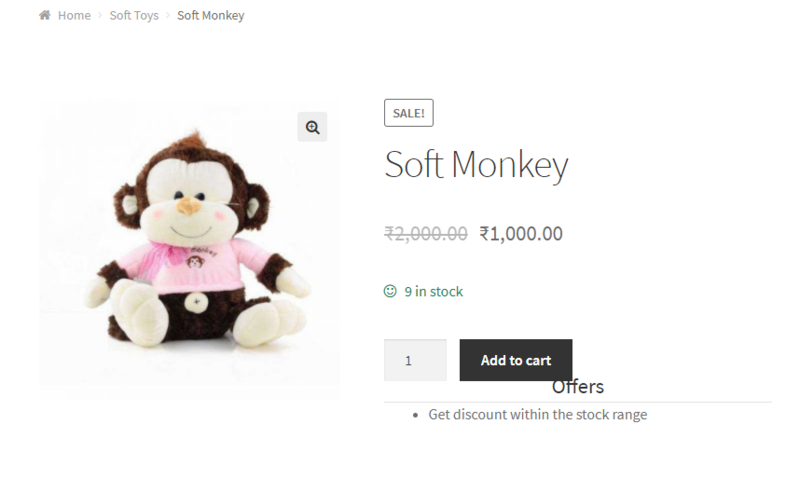 Moreover, once you get hold of the WooCommerce Conditional Content plugin, you would naturally come up with some more ideas on the content to be displayed throughout your site.